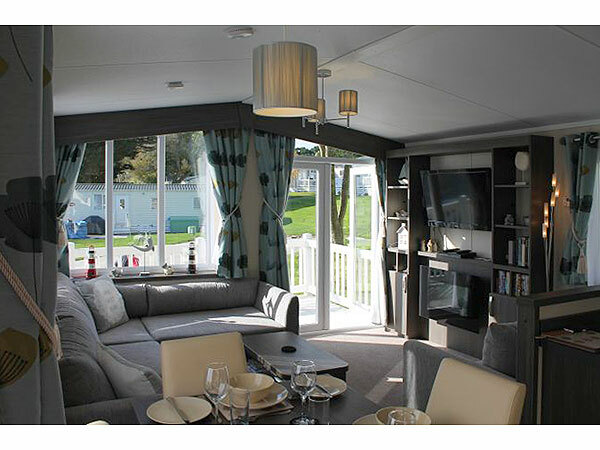 Our 3 bedroom caravan is a real home from home, comfortable and well equipped to a very high standard. 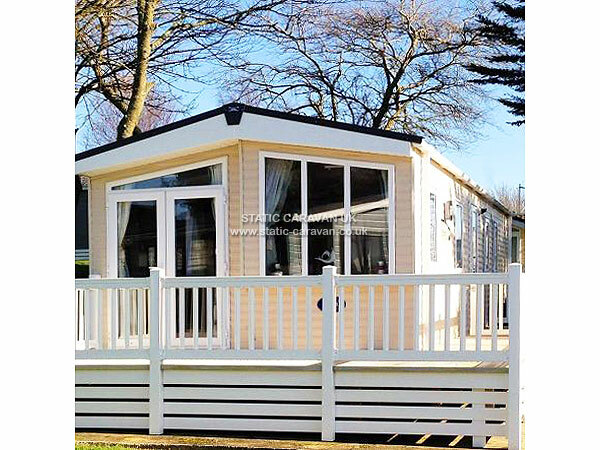 It is available to hire from the middle of February through to early January, we offer long weekends, full weeks, even multiple weeks or anything inbetween. 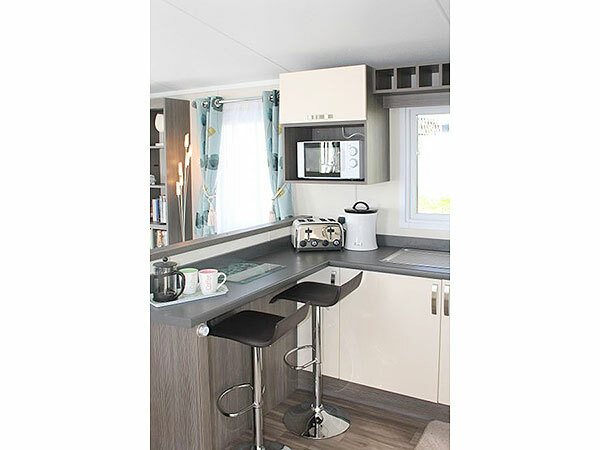 The kitchen is fitted with a gas hob and oven, integrated microwave and full size fridge freezer. There is a breakfast bar with 2 stools. Washing up liquid, soap, cleaning products and table sauces are provided along with tea and coffee for the first few days. There is also an ironing board and iron. Just off the kitchen is the dining area. The good size lounge provides 2 comfy sofas; one 2 seater and one larger corner sofa. 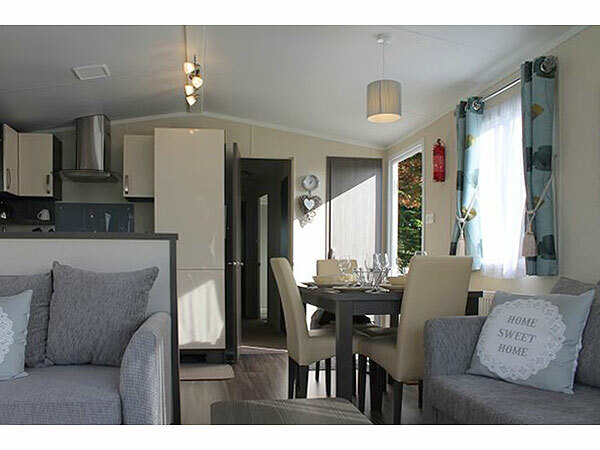 There is an electric fire, wall mounted 40" LCD TV, DVD player and a Playstation 2 along with a selection of books, DVDs and board games for both adults and children (and also toys for the kids). French doors lead out from the lounge on to the wrap around gated decking area, south facing with patio furniture. 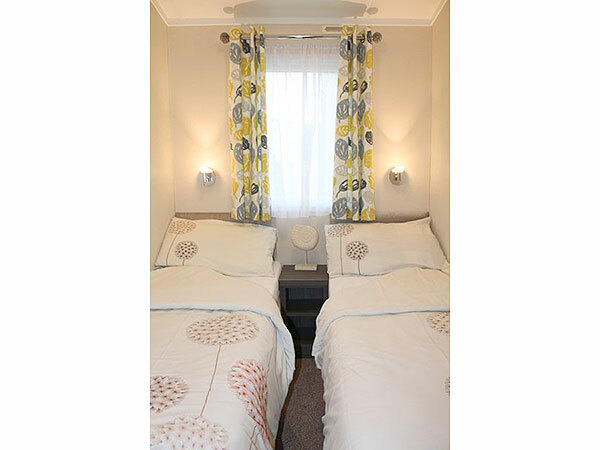 The main bedroom has a king size bed,wall mounted tv, ipod dock and walk in wardrobe with plenty of storage space. A hairdryer is provided. 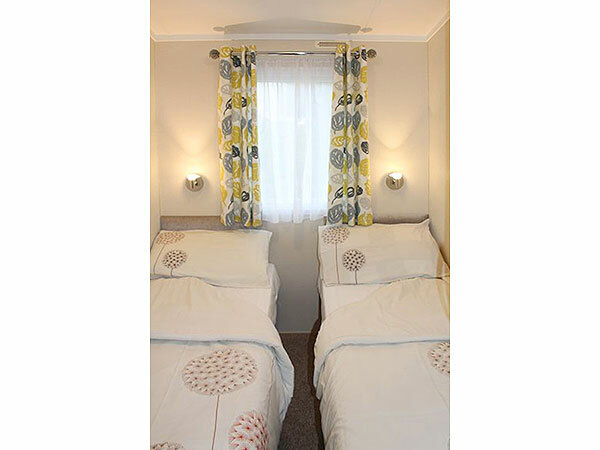 The twin rooms are very similar with 2 single beds and one wall mounted wardrobe in each. 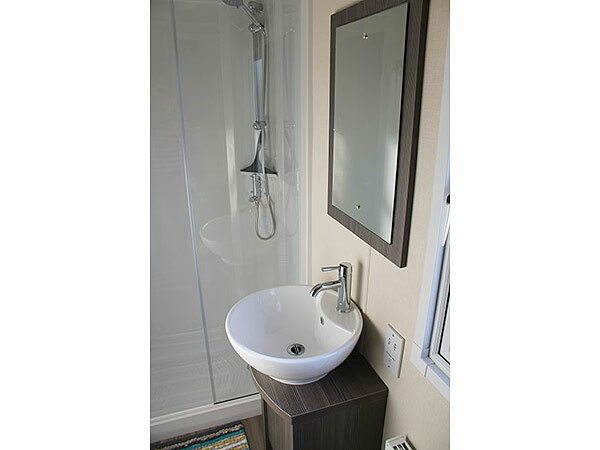 There is one bathroom with large shower, wash basin, toilet and storage and also another separate toilet with wash basin and storage. 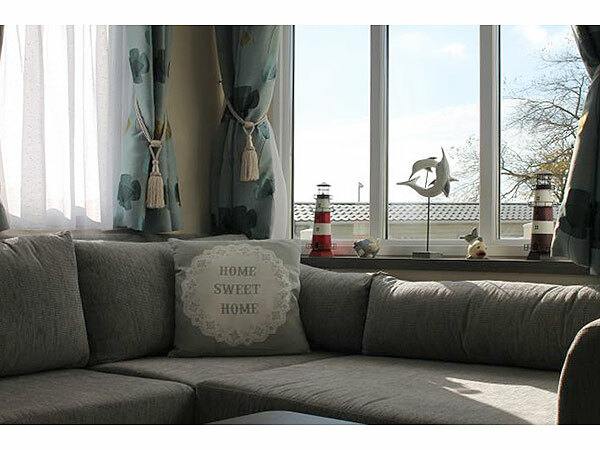 Our holiday home benefits from full double glazing and central heating, gas and electric are included in our prices. A smoke alarm, fire extinguisher and carbon monoxide detectors are fitted for your safety and peace of mind. 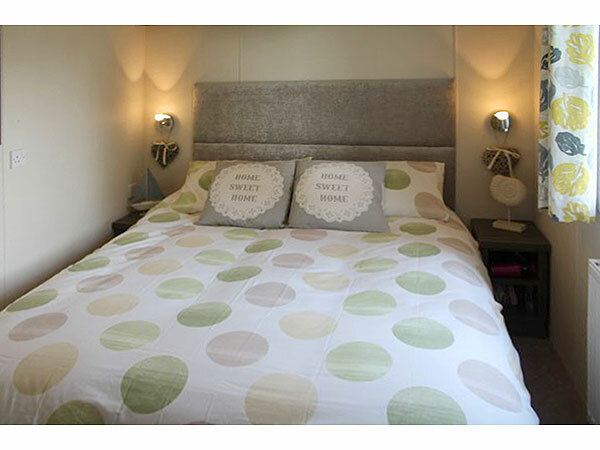 Duvets and pillows are provided, bed linen can be supplied at an additional cost. 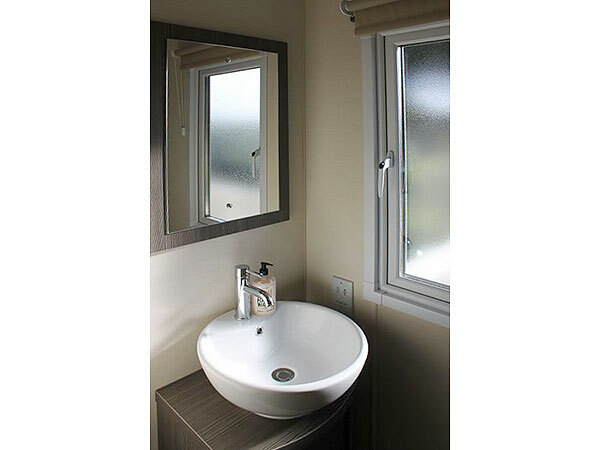 Towels and tea towels are not provided. There is parking for 2 cars along side the caravan. 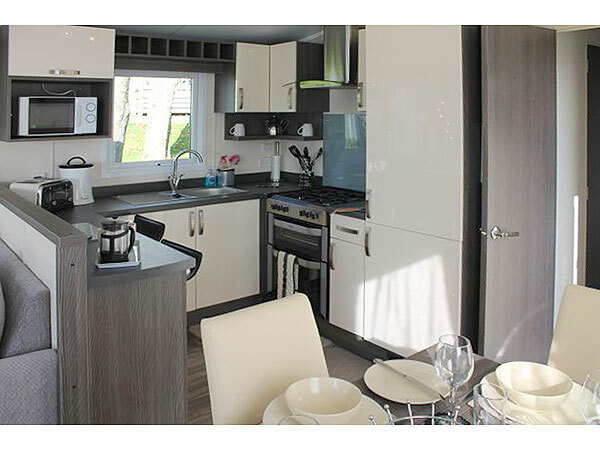 A non-refundable deposit of £75 is required with the balance payable 8 weeks prior to your stay, if booking with less than 8 weeks to the letting date the whole amount is due at the time of booking. 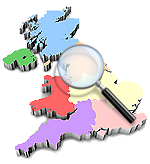 A £75 security deposit will be added to the balance due, returnable 14 days after departure (terms and conditions apply).